Do you want a detailed quote? In order to give you the best answer we suggest you to attach a recent panoramic X-ray of your teeth. Alternately, you can use our online consultation form. In case you do not have a digital X-ray (incidentally we can give you tips how to digitalize your X-ray) you can just send us the good old-fashioned X-ray photograph via ordinary mail. In turn we’ll send you back the our expert opinion with a precise bid. Hungary-2085 Pilisvörösvár, Árpád u. 21. All you have to do is come to Hungary! Airport lifts there and back is offered by our clinic free of charge. 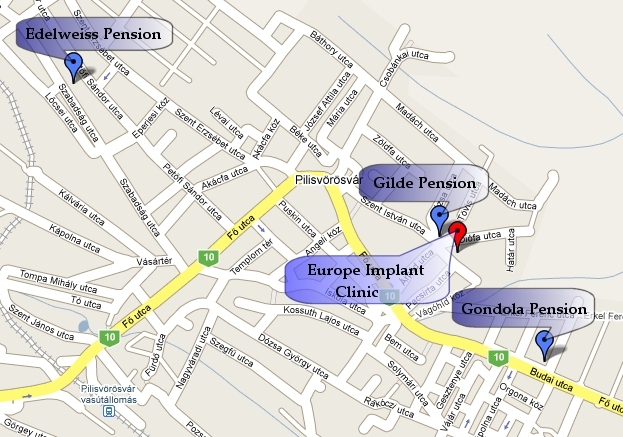 We also give you free rides between our clinic and your accommodation either it is in Budapest or in Pilisvörösvár.